Corsair AX1200i is the first desktop power supply that uses the digital signal processor (DSP) and the Corsair Link software. It offers unprecedented possibilities for customization and performance monitoring. The DSP optimises the system performance to maintain minimal voltage tolerances and your components are thus provided with a perfectly stable power supply. 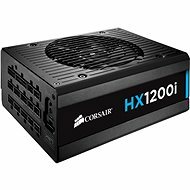 It is a device designed for the most demanding PC enthusiasts, who do not care only about the price, but simply want to own the best product available on the market - and among the power supplies, Corsair AX1200i is currently the number one. This picture has been removed from the ColorBox and therefore it will not be displayed. Corsair AX1200i is the first desktop power supply that uses a digital signal processor (DSP) and the Corsair Link software. It offers unprecedented possibilities for customization and performance monitoring. The DSP optimises the system performance to maintain minimal voltage tolerances and your components are thus provided with a perfectly stable power supply. It is a device designed for the most demanding PC enthusiasts, who do not care only about the price, but simply want to own the best product available on the market - and among the power supplies, Corsair AX1200i is currently the number one. With the supplied cable, AX1200i can be connected directly to the USB port on your motherboard. 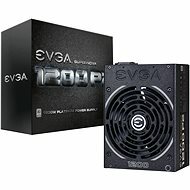 You can then just download and install the Corsair Link Dashboard software and you'll instantly have the unique ability to monitor and control the power supply. You can track the power input and output, the efficiency, the fan speed and the internal temperature - all directly from the Microsoft Windows operating system. If you are a more advanced user, you can go into the settings and adjustment of the fan speed profiles or other options. Corsair AX1200i boasts the 80PLUS Platinum certification. This means that it consumes less power and generates much less heat. Thanks to this fact, you can not only save money in the long run, but the reliable energy supply also extends the lifespan of the connected components. The extremely high energy efficiency brings another important advantage - a quiet operation. Thanks to the thermal speed control, the fan will even completely stop at low-load conditions, which is great news for all silence lovers. Complete modularity means that you do not need to have any unused cables hanging around in your PC cabinet. Furthermore, it will catch your eye at the first glance that the detachable cables have a very slim profile, which facilitates their hiding behind the motherboard. The result is a much better internal organization of the PC cabinet and a much more efficient cooling. Detachable cables, Heatsink, Active PFC, Thermal speed control, Power switch Done! 200 mm (20 cm) Done! For shipping to other EU countries visit this page Corsair AX1200i. Für Versand nach Deutschland, besuchen Sie bitte Corsair AX1200i. Chcete doručit zboží do Česka? Prohlédněte si Corsair AX1200i. Chcete doručiť tovar na Slovensko? 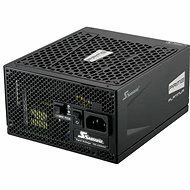 Prezrite si Corsair AX1200. Für Versand nach Österreich, besuchen Sie bitte Corsair AX1200i. Magyarországra történő kiszállításért tekintse meg ezt a termékoldalt: Corsair AX1200i.